I did an internet search for the annual battle reenactment and couldn’t find anything. The fort hosts living history groups on the first weekend of each month and an annual “History of the American Soldier” encampment each November. The November encampment covers life at the fort from 1821 to 1945, with Civil War, Spanish American War, World War I and World War II reenactors. It sounds like it’s a really cool event. But it’s not a battle reenactment. So it seems that the guide was wrong about that. 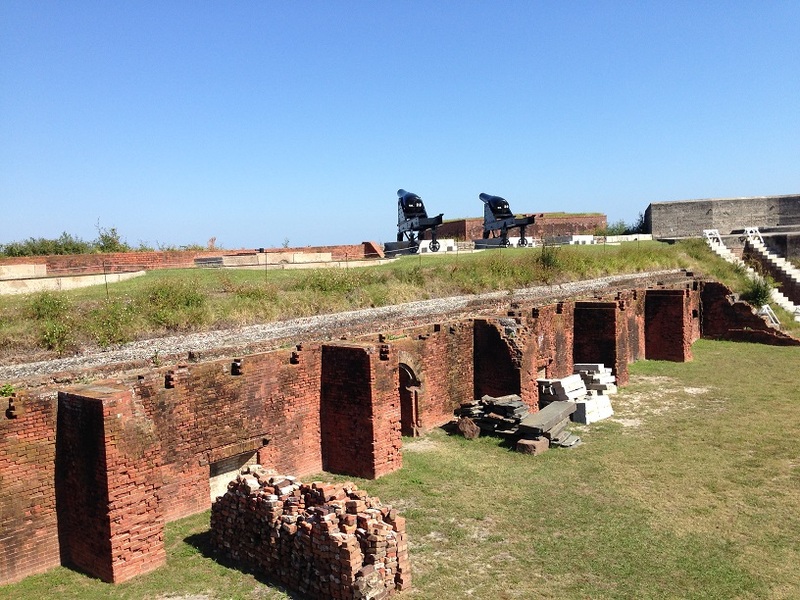 What the guide was right about is that there was never a battle — not even a tiny skirmish — at Fort Clinch. The fort is at the entrance to the Cumberland Sound and a prime location for guarding the main Amelia Island town of Fernandina, a port and railroad terminus. The Spanish built the first fort in the early 18th century. Work began on the current fort in 1847 but it still wasn’t finished — the walls were still several feet short and there were no artillery in place — when Florida seceded from the Union in January 1861. The commander of the engineering corps building the fort said that there was no way that it could be of use to anyone in that condition. So the US simply abandoned it. The Confederates moved in later that year. Less than a year later, Robert E. Lee, Confederate commander of coastal defenses in Georgia and Florida at the time, ordered his troops out of Fort Clinch and to a more defensible, inland location. Because the Union engineering corps commander had been right: the unfinished brick fort was useless, at least for defense purposes. It wouldn’t protect anyone from anything if they were attacked. 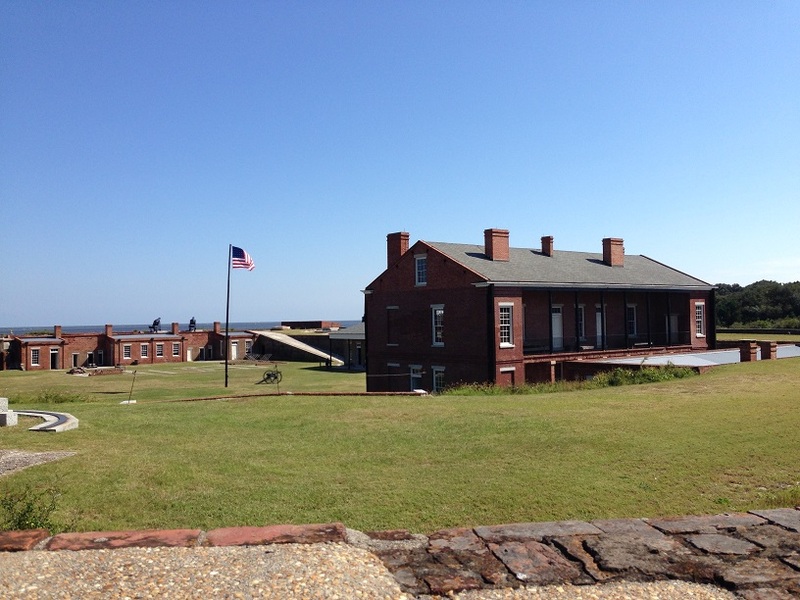 A few months later, the Union moved back into Fort Clinch — not caring, apparently, that the fort would be difficult to defend — and stayed, without conflict, until the end of the war. The fort was again in service, briefly, during the Spanish American War, after which it was abandoned until the Depression, when the Civilian Conservation Corp was put to work to restore the fort to what it had been during the Civil War. In 1935, the State of Florida bought the fort and a couple of hundred surrounding acres and turned it into a state park. The park was closed and the fort was commissioned one last time during World War II, when it was used as a communication and security post. 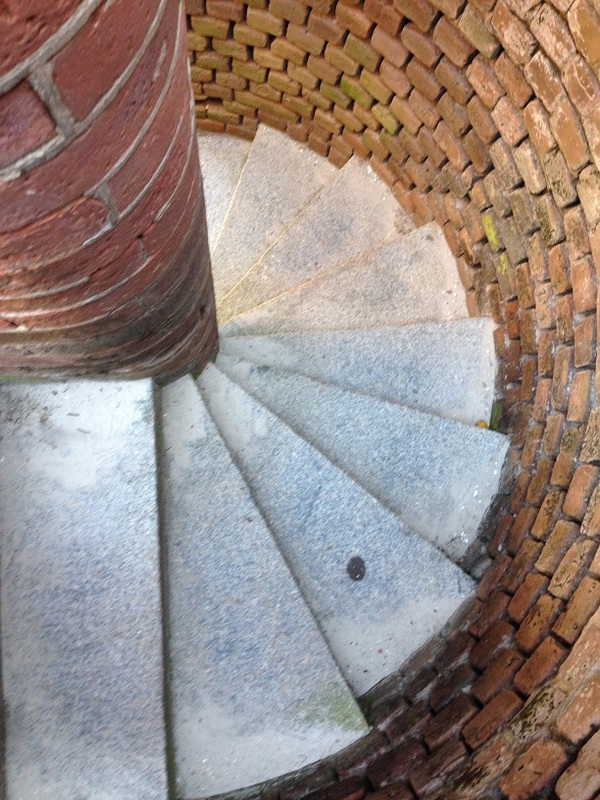 There’s nothing more I love than to be allowed to wander freely through an old building, and so it was at Fort Clinch. No tour, no staff in sight (except for the cashier in the visitor center), only a couple of other visitors. And for that reason, its probably one of my all-time favorite sites. The fort is interpreted as a Union base, with barracks, offices and a quartermaster’s area. The cannons are made of concrete. The area around the fort — the park part — has miles of walking and bicycling trails, and some of the nicest beaches on the island. It is also some of the emptiest beaches because, I’m guessing, one has to pay a $6 fee to get into the park. The free, public beaches were almost empty when we were there in late October. But at the height of tourist season, I’d be more than happy to pay $6 to get far from the madding crowd. Gallery | This entry was posted in Florida. Bookmark the permalink. Sounds like heaven – having such a place all to yourself. I just loved it. Such an unexpected treat. Do your own exploring?! No staff?! Green with envy. Love the looks (and sound) of this place. A staff of one — my husband. But he’s not a very good employee, so I have to do most of it on my own. 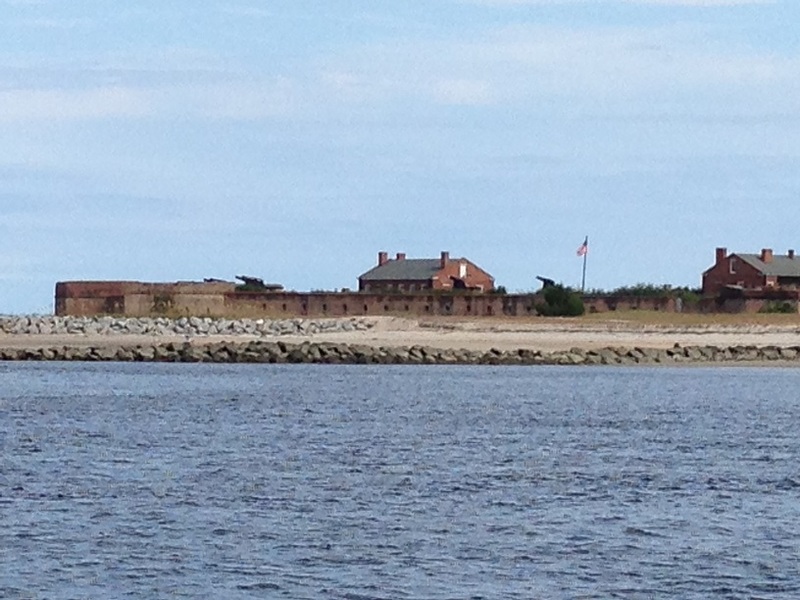 Amelia Island, including Fort Clinch, was pretty much perfect. I could move there in a second. Beautiful! I love exploring those old forts! This one was quite intact and a lot of fun to explore.